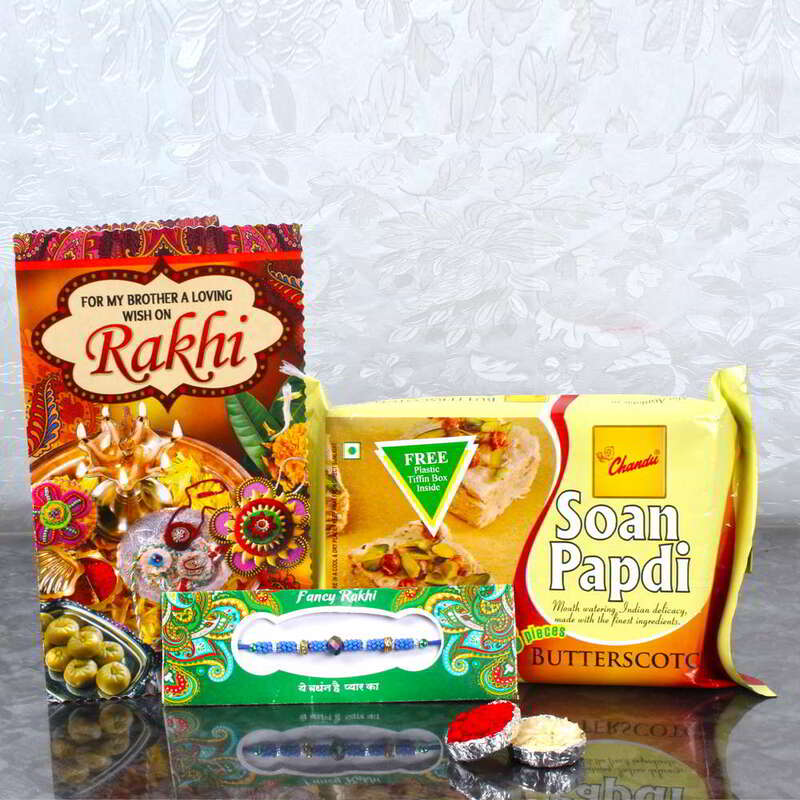 Product Consists: Exclusive Color Beads Rakhi, Soan Papdi Butterscotch Flavor (Weight: 200 Gms), Rakhi Greeting Card along with Packet of Roli Chawal. 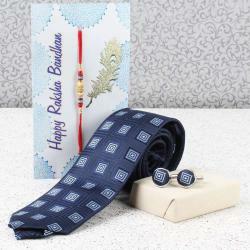 Raksha Bandhan is not just about sending a Rakhi to your darling brother. Its also about lacing the occasion with your warmth and affection in unique ways that show your brother how much you care. 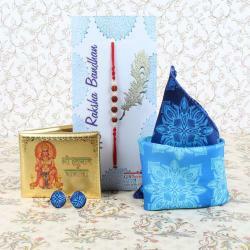 In this context, you can try this unique combo of Rakhi, Soan Papdi Rakhi Greeting Card .There is Roli Chawal as part of the package as well and this represents how much you want your brother to grow just like this plant and of course, the plant will usher in oodles of prosperity and happiness into your brothers life. 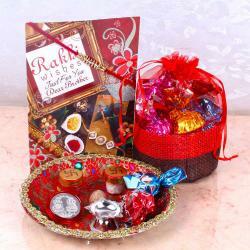 This beautiful Rakhi Combo includes: Exclusive Color Beads Rakhi and Soan Papdi Butterscotch Flavor (Weight: 200 Gms) with Rakhi Greeting Card along with Packet of Roli Chawal.